Endpoint Full Disk Encryption is a software product produced by Checkpoint and allows computer systems running either Windows or Max OS X to encrypt the contents of their hard drives. This has the effect of making the information on those drives useless should the drive be stolen or otherwise. To decrypt a hard drive encrypted with Checkpoint FDE it is necessary to enter the password when the system first boots. Decryption of the files is handled ‘on the fly’ so it is important that the FDE system runs on a machine powerful enough to handle this. If a FDE enable system won’t boot, this presents a significant problem in retrieving the data from the hard drive. Whilst the software may be well written and relatively bug free, the hard disks it runs on are often of the mechanical HDD variety – which is based on 40 year old technology that relies on moving parts. Additionally other nasties like bad sectors develop on hard drives and any problem on a drive will hinder the operation of FDE. Interestingly there’s a new post about recovering the data from a hard drive encrypted with Endpoint (see http://www.dataclinic.co.uk/recovering-check-point-endpoint-fde-encrypted-hard-drives/) that had developed these problems and no longer worked. The only option was to send the hard drive to Data Clinic and hope they could recover the information. The Checkpoint FDE software can run on multiple disk systems too, including Network Attached Storage (NAS) hard drives and the larger RAID 5 servers. Of course these systems are far more complex than their single drive counterparts and the problems faced by repair companies are significantly enhanced should problems begin to develop on the hard drives from a NAS or RAID server. As yet I am unaware of any company that has been asked with recovering the data from one of these systems that has been encrypted with the Checkpoint software, although this is bound to happen at some point. 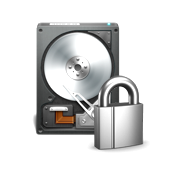 Regular NAS and RAID systems that don’t use encryption are still more complex than single disk to repair and recover. Data Clinic (link above) should be able to handle data retrieval from these systems but there are other companies that offer the same type of service too such as http://www.emergency-raid-datarecovery.com for RAID recovery and http://www.datlabsdatarecovery.co.uk for all popular hard disk types. In all cases, make sure you do your own research and review what other people say about the company before you make your choice on who to use. Checkpoint’s FDE is a complex product and any hard drive that uses encryption is a much trickier proposition to recover the data from than a hard drive that doesn’t, so make sure you use a well known data recovery company rather than one that is not well regarded.